The UK's Police Intellectual Property Unit has raided a UK-based pirate TV streaming operation said to be responsible for the distribution of thousands of illegal devices worldwide. In addition to the seizure of dozens of servers, three men have been arrested. Last month saw the shutdown of KickassTorrents and the arrest of its alleged founder, a development which sent shockwaves through the file-sharing community. That was followed by the surprise shutdown of Torrentz, the world’s largest torrent meta-search engine. It’s not known why the site chose to close its doors but its departure from the scene was somewhat more orderly than that of KAT. Meanwhile, and as revealed in our earlier report, streaming continues to prove increasingly popular with Internet users, a fact the authorities are well aware of. With that in mind, the UK’s Police Intellectual Property Unit (PIPCU) has just carried out a new operation against individuals it believes are involved in streaming content online and distributing set-top boxes modified to receive it. Following a series of dawn raids carried out yesterday morning in Lancashire, PIPCU arrested three men aged 36, 40 and 58, on suspicion of conspiracy to defraud and money laundering offences. PIPCU say that the operation received assistance from local police and a forensic investigator from the Federation Against Copyright Theft (FACT). While previous operations against streaming pirates have usually resulted in the seizure of Kodi-enabled Android set-top boxes, this operation appears to have gone a step up the chain. 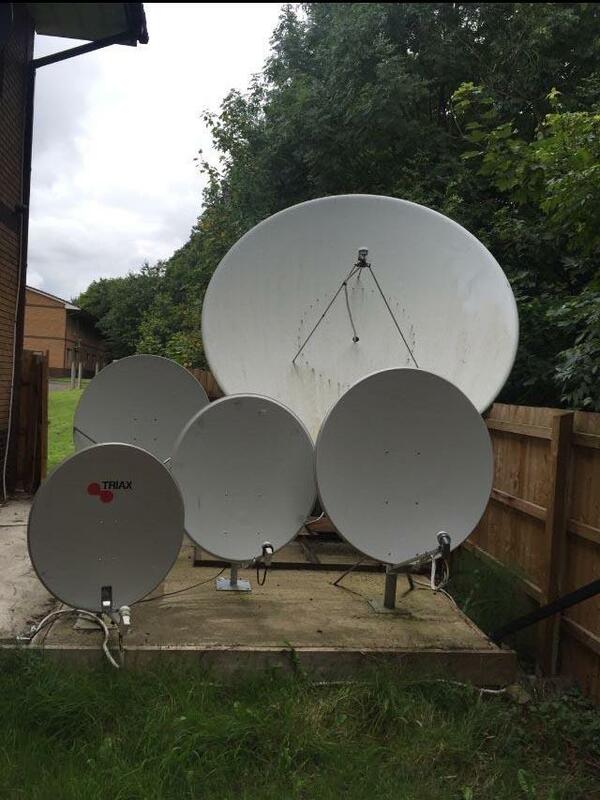 Photographs provided by PIPCU show what appears to be a somewhat sophisticated operation, beginning with satellite TV reception. The PIPCU operation spanned three residential addresses and an as-yet-unnamed business premises. 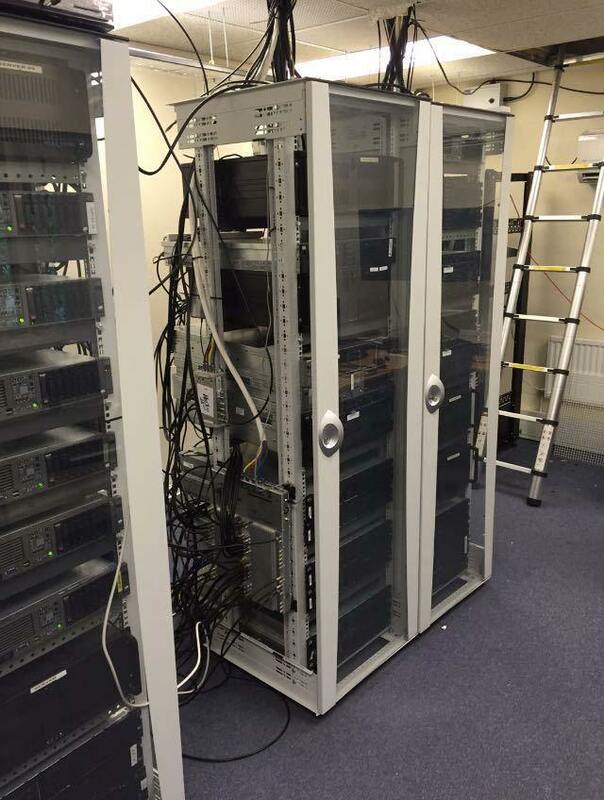 It seems likely that the photograph of the server room shown below was taken in the latter location. Thus far, PIPCU say they have seized approximately 30 servers. In addition, PIPCU say they also recovered set-top boxes which had been modified so that users could access hundreds of premium subscription-only channels. “Some of the channels available on the devices include pay-per-view sports, the latest movies and UK broadcast television only available to UK licence fee payers. Officers have also identified 15 satellites,” PIPCU report. Neither the police nor FACT have provided any information which allows us to easily identify those arrested or their operation. However, there are a number of clues which point us in a particular direction. Firstly, PIPCU claims that the devices were being sold as legitimate products that could provide content to users anywhere in the world for an annual fee of around £400. Second, the unit also identified a small town with a population of just 41,000. So, given the location of the raids and the specific nature and size of the business, TorrentFreak sources familiar with IPTV operators in the UK told us that one company in particular stands out as the most likely candidate. The outfit has not yet responded to our requests for comment so naturally we won’t name them, but we do know that they offer IPTV packages to the expat market and those abroad for just a few pounds less than the £400 mentioned by PIPCU. The packages (and indeed the hardware) are also marketed and sold as entirely legitimate. We’re also aware that a staff member at the company was previously involved in another business dealing in satellite communications. At the time of writing their website is still up and running and registered to a business premises in Chorley, Lancashire, the town mentioned by PIPCU. Furthermore, a posting discovered online by TF indicates that the IPTV operation had been established for a number of years and was recently running 30 servers. In a statement, head of PIPCU, Detective Chief Inspector Peter Ratcliffe, described the outfit as “a significant and highly resourced operation to distribute pirated television on an industrial scale” to tens of thousands of people across the globe. “Operations like this remain an integral part of protecting livelihoods supported by the entertainment industry and the law abiding public who pay for their channels with their hard earned cash,” he said. Director General of the Federation Against Copyright Theft, Kieron Sharp, said his organization will continue to pursue those engaged in this growing area of piracy. “Illegally modified set-top boxes, along with infringing apps and add-ons, have created new opportunities for criminality and piracy. Tackling these threats and the people behind them is one of our highest priorities and therefore today’s multi-agency action is another great result for law enforcement and the creative industries,” Sharp said. When TF has solid information concerning the identity of the company involved we will post an update.